Gary Ricard, Bernd Rest and Martin Wheatley. 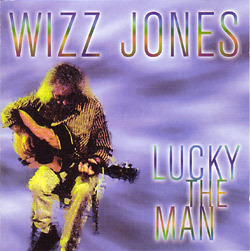 LP - 2001 - "Lucky The Man"
'Lucky The Man' contains songs representing Wizz's definitive original guitar technique (as on his rendition of 'Weeping Willow Blues'). Splendid guitar interaction with John Renbourn on a fine acoustic version of Adderley's 'Sermonette'. A beautifully arranged version of 'Omie Wise' with both John and Jacqui McShee, which smacks of Pentangle with Jacqui and Wizz's voices blending nicely. The album brings back Wizz and Clive Palmer playing together on a couple of songs, including the stunning and hypnotic 'Paris' (on which they both play 5-string banjo) - appropriate, as they busked together on the streets of Paris over 40 years ago. 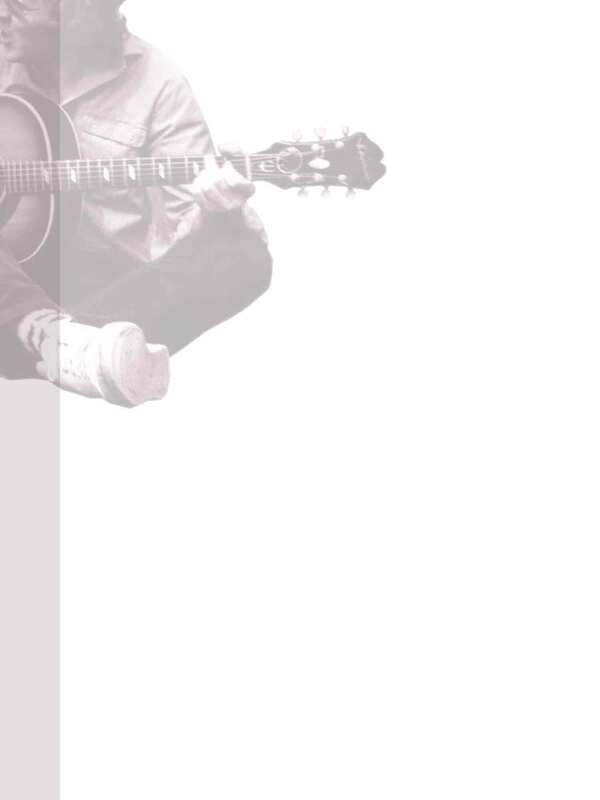 Also some classy Wizz originals - a paean to lost love 'Another Summertime' as well as Wizz's self-penned lullaby and the title track 'Lucky The Man', a tribute to his daughter. There's an unusal look back to the 30's with Wizz and Jacqui singing 'Would You Like To Take A Walk?'. Lovely versions of Archie Fisher's 'Mountain Rain' (with Renbourn) and Alun Ashworth Jones's 'In Stormy Weather' (featuring Gary Ricard of The Balham Alligators on backing vocal and guitar). Wizz pays his respects to the classic 'Blues Run The Game', which he played at his first-ever American concert a few years back to honour it's composer Jackson C Frank only a few months before Jackson passed away. Tasteful percussion on a number of tracks from Gerry Conway, and a couple of Wizz's talented London guitarist friends together with son Simeon help out on some songs. Still traversing the landscape he helped to pioneer in England - Folk, American Blues, Cowboy Songs, Jazz and the English Tradition, broken hearts and something entirely unique, this is Wizz Jones in superb voice and guitar playing form. Yes..its now available from Hux, re-packaged with extra tracks including a previously un-released song with Wizz playing and singing with Ramblin' Jack Elliot!